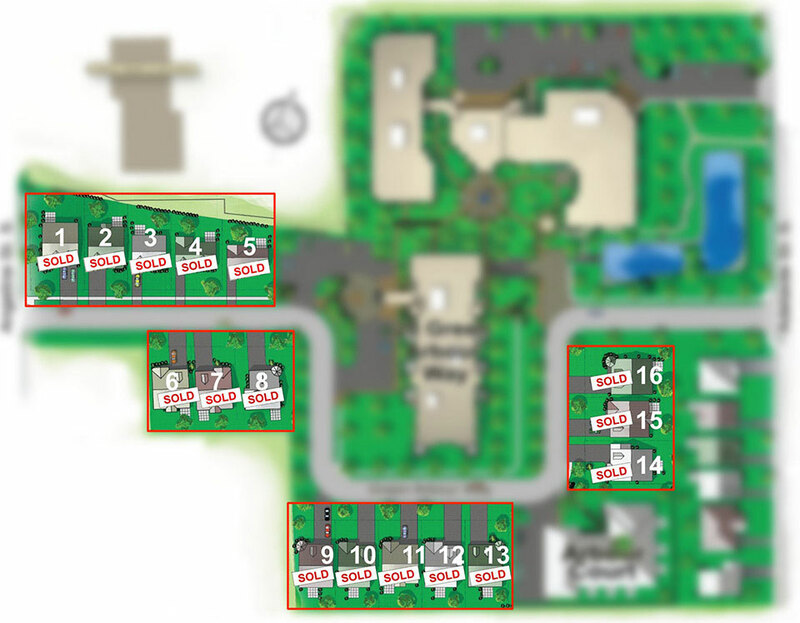 Sixteen bungalows or bungalofts on 50' lots outline Arbour Way. Professionally groomed, the landscape will offer a beautiful atmosphere without the burden of care by the individual. With the convenience of a maintenance program, which will include lawn care and snow concerns, the homeowner will experience a new freedom. Architectural design maintains the consistent look throughout. Brick, roof lines and colour unite the homes and surrounding condominiums to make Arbour Village a desirable community in which to live. Copyright © 2019 Wilson Developments Inc. All rights reserved.